My friend and colleague, Dan Hawk is Professor of Old Testament and Hebrew at Ashland Theological Seminary in Ashland, Ohio. Some of you will remember the excellent series Dan posted on this blog about a year ago on the conquest narratives in the Book of Joshua. His book, Joshua in 3-D is a must have for anyone who wants to understand Joshua and its implications for today. It is an excellent piece of work and there is nothing else like it in print. Dan has recently published an excellent article in the seminary's mggazine, The Table, dealing with war in the Old Testament and God's place in the midst of it. He even wades a little into the New Testament. It is an extremely illuminating piece. I post it here in full having been given permission to do so from the author. Read, reflect, comment if you desire, and ponder this important subject. 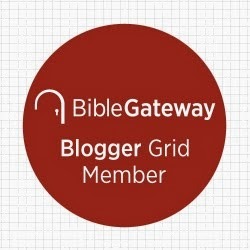 ﻿The image of God as a warrior runs throughout the literature of the Old Testament. Israel knew God above all as “the LORD of hosts,” the God of the heavenly armies and the military forces of Israel. The title occurs over two hundred times in the Old Testament, constituting by far the most common among the many epithets for God in biblical literature. When the priests in Jerusalem invited the people to worship by asking “Who is this king of glory?” the people answered, “The LORD, strong and powerful! The LORD, powerful in battle!” (Psa. 24:8). God accompanied Israel in battle, with the Ark of the Covenant symbolizing his presence. As Israel followed the Ark through the wilderness the people would shout, “Arise, O LORD! Let your enemies by scattered!” (Num 10:35; cf. Josh 4:10-13; 1 Sam 6:3-9). God fought for Israel and against Pharaoh at the Red Sea, where Moses exclaimed, “The LORD is a warrior! The LORD is his name!” (Exod 15:3). God defeated the nations of Canaan when Israel entered the Promised Land and delivered Israel under the judges. God destroyed the massive armies of Assyria when no human deliverance was possible (2 Kgs 19:32-37) and used the nations as his agents to devastate Babylon (Jer 51:1-52:58). In the prophetic corpus, God the Warrior appears with particular frequency, his garments soaked with the blood of his enemies (Isa 63:1-60) and his bow at the ready (Hab 3:9). While the imagery of a bloodthirsty God may shock modern sensibilities, it was right at home in the brutal world of the ancient Near East, where divine beings were constantly involved in conflict. Many ancient myths associate violence with creation. In the best-known of these, the Enuma Elish, the creation of the world takes place through an act of war in which Marduk, the titular god of Babylon, defeats the powers of evil and destruction, personified by a serpent and her minions. In short, violence was a fundamental component of creation itself in the thinking of the ancient world. The Old Testament, however, presents a radically different view of violence and its relation to God and creation. The creation accounts of Genesis 1-2 portray creation as an act of beneficence, not war, and describe a new world where conflict is unknown. Violence enters this world as an intruder and as a result of humanity’s defiance of the Creator, a condition vividly illustrated by the story of Cain and Abel immediately following the expulsion from Eden (Gen 4:1-16). The rest of the Old Testament elaborates the devastating consequences of humanity’s sin and God’s determination to restore creation and redeem humanity. The endpoint of God’s work in the world, visualized particularly in eschatological texts, is a restored creation in which violence has been eliminated (Isa 11:6-9; 60:17-20; 65:17-25; Mic 4:3-4). The Old Testament, and the Bible as a whole, relates the story of God’s work in the violent world between creation and new creation. In this world, war is rampant, but God is not absent. Rather, God enters the maelstrom of human violence and makes war in order to establish shalom. The biblical God is relentlessly and resolutely at war with the powers of evil that destroy the creation that God declared good. God’s involvement in war is a messy business, and the questions associated with it allow no easy answers. Instead, the Old Testament sets before its readers the paradoxes of God’s participation in war. First, God’s decision to work redemptively through a nation (Israel) unavoidably enmeshed God in the warfare that nations endure in a violent world. By choosing to identify with Israel, God was bound to take sides when the nation, or God’s purposes through it, were threatened or opposed. As with all the other nations of its world, war figured prominently in Israel’s history – from Abraham’s rescue of Lot from the hands of a Mesopotamian king (Gen 14:1-16), to attacks on Israel as it wandered the wilderness (Exod 16:8-16), through the conquest of Canaan (Joshua 2-12) and ultimately to defeat and exile at the hands of great empires (2 Kgs 17:5-23 ; 25:1-21). The Old Testament testifies that God was deeply involved in all these wars, on one side or the other. Entering human experience cost God something. The God who commanded “thou shalt not kill” could not avoid directing others to kill on a massive scale. As a life-destroying rather than life- sustaining activity, war cannot be affirmed as good. Yet God both promotes and participates in war throughout the pages of the Old Testament. Second, divine violence is always directed toward a redemptive end. 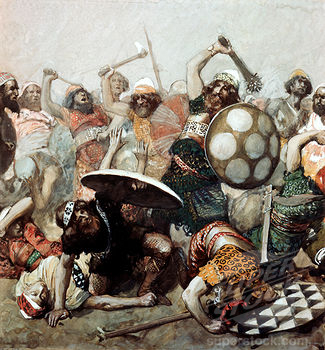 Divine violence in the Old Testament is never portrayed as an end in itself. Rather, God uses violence instrumentally to counter violence – whether in the nations or in the case of Israel itself. When taken within the context of God’s redemptive work in creation, no particular instance of divinely-directed war can be interpreted as the act of a capricious deity lashing out at those who offended him. The final goal of divine warfare is not punishment but restoration, a point made particularly by the prophetic books, the greater number of which end with visions of restoration and the final elimination of evil (e.g. Isa 65:1-66:24; Eze 40:1-48:35; Dan 12:1-4; Hos 14:4-8; Joel 3:18-21; Amos 9:11-1; Zeph 3:14-20; Zech 14:16-21). In the violent world between creation and new creation, God participates in and directs war as a form of counter-violence that, within the grand scheme of things, advances God’s redemptive purposes. God opposes violence but uses violence. Third, God initiates and regulates war. Commensurate with the conviction that God utilizes war instrumentally for redemptive purposes is the conviction that war is too important a business to be left to the generals. Only God may initiate and direct the course of war. Israel wins victories when God directs the battles but fails when it decides to wage war in its own way and for its own reasons. This is vividly brought home in the book of Joshua, where Israel wins stunning victories by following closely God’s commands through Joshua (6:1-22; 8:1-29) but suffers ignominious defeat when the people decide to attack the town of Ai on its own (7:2-5). The LORD fights for the kings of Israel when they consult him and follow his directions (2 Sam 5:17-25; 2 Chron 20:13-30). The wars of kings, furthermore, are regulated by the Mosaic law, which accommodates both to the leadership of kings and to their expansionist proclivities. Faced with the reality that kings will wage war, Moses institutes practices and policies aimed at curtailing the king’s power and acknowledging the LORD’s (Deut 20:1-20). Israel’s testimony, however, is that human rulers rarely included God in their decisions, preferring instead to prosecute war for their own reasons and for their own ends. Finally, God utilizes human agents who are prone to excess. The prophetic literature in particular accentuates the risk God takes in using human beings to wage war. That is, humanity’s inveterate inclination toward violence predisposes kings and nations to magnify the scope and brutality of war. Once begun, war takes on a life of its own and often overwhelms those who wage it. Those whom God uses as instruments of war may therefore find themselves opposed to God’s purposes and under God’s judgment. Hosea decrees the end of Jehu’s dynasty for the excessive bloodshed Jehu enacted when he carried out a divinely-ordained coup against the previous dynasty (Hos 1:4-5). Through Isaiah, God condemns the Assyrians, “the rod of my anger,” whom God sent to chastise Israel but who instead destroyed many nations and arrogantly exalted itself (Isa 10:5-19). When Habakkuk questions God about sending the merciless Chaldeans against Judah, God responds with words of judgment against the expansionist practices of all imperial powers (2:1-20). The Old Testament reveals a God who utilizes kings and nations in the divine struggle to overcome evil, well-knowing that kings and nations may generate violence over and above what God intends. The portrait of God at war extends into the New Testament, where it is largely spiritualized. The healing and exorcisms in the gospels may be seen as victories in God’s war against Satan. Christ’s mission is wrapped with scriptural texts that evoke the divine warrior (for example, Matthew’s citation of Zechariah 9:9 as Jesus enters Jerusalem [21:5]). And a renewed heaven and earth emerge after evil is finally eliminated in a cataclysm of divine violence (Rev 17:1-20:15). While it might be easy to regard the warlike God of the Old Testament as a necessary accommodation to a primitive society, now superseded by the Prince of Peace, we might question whether an image so central to one part of the Bible can be so completely negated in another. The Old Testament’s witness to God and war reveals that the theological questions swirling around war are as complex and difficult as the moral ones. As such, the Bible leads faithful readers away from simple and stark formulations and toward thoughtful reflection on the difficult questions that must be engaged as they discern the path of the God who is still at work redemptively in a world at war. L. Daniel Hawk is Professor of Old Testament and Hebrew at Ashland Theological Seminary. He explores the intersections of violence, ethnicity, and biblical theology in many of his classes and publications. The most recent of the latter is Joshua in 3-D: A Commentary on Biblical Conquest and Manifest Destiny. (Cascade, 2010).